brunette tagged items for the 2015 costume season. Includes one adult black wig. black wig with decorative trim. Dress and neckpiece not included. One size fits most adults. Wig. This is an officially licensed Star Trek product. Wig. Does not include shirt. 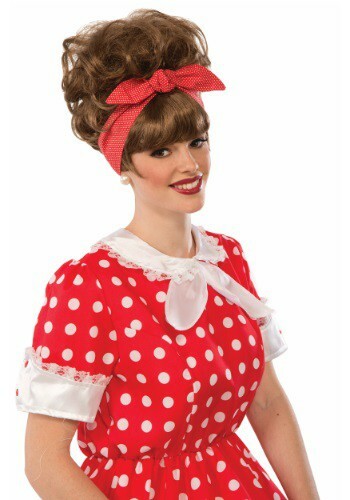 Adult Costumes - These Brunette Clip-On Bangs would go with a large variety of style of costumes! This is a top quality 60s. Wig. Available in children's One-Size. This is an officially licensed Dora The Explorer accessory. Shoulder length black curly wig. One size fits most adults. Includes a black oversized beehive wig with v-cut bangs, and white streaks. One size fits most. Includes wig. This is an officially licensed Guardians of the Galaxy product. Includes wig. Does not include costume, sunglasses or gloves.